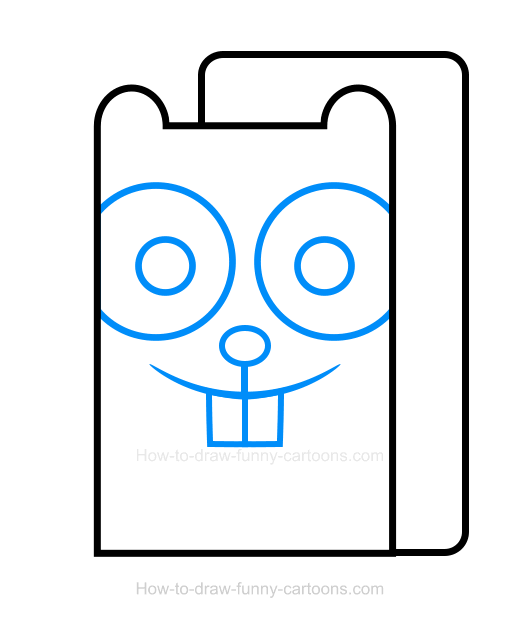 This simple drawing lesson on how to draw a beaver clipart is perfect if you are searching for an easy tutorial on how to create this fun cartoon animal. 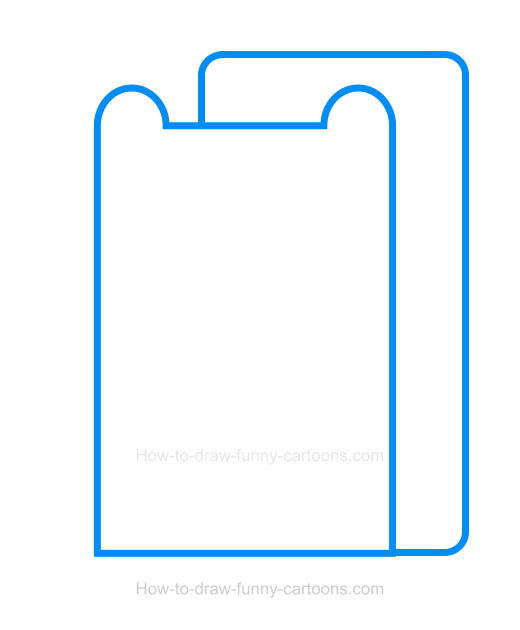 Mostly made from large rectangles and circles, this illustration should be easy to duplicate even for beginners or young kids. Below you can see the final illustration once all steps are properly created. I strongly suggest using a pencil and a piece of paper to create this beaver. Indeed, using a vector application is a good idea, but duplicating this character might be too easy doing so. Chances are that you won't learn much using a software instead of creating the character yourself. Ready? Let's start this lesson now! Great! Start by sketching the body of the beaver by using a large rectangle made from a thick outline. On top of this shape, draw two small circular shapes to illustrate the ears. Once you are done, you can add another rectangle on the back of the original shape to create the tail. Notice that this one was created with round corners as shown on the illustration found below. 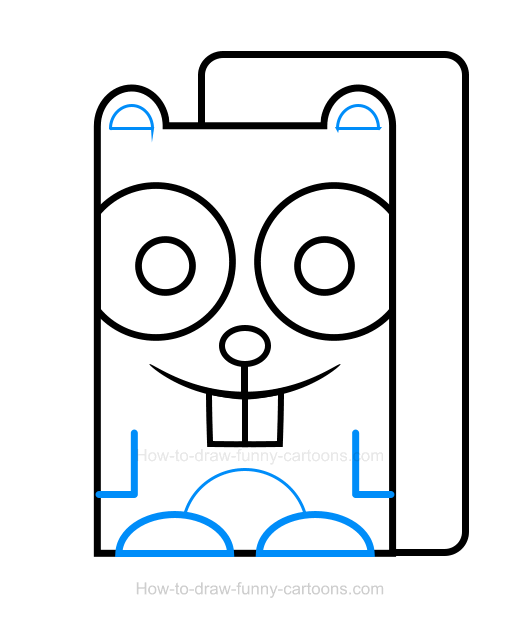 Next, you can draw the facial features of the cartoon beaver using once again basic elements. The eyes and the pupils are done using large circular shapes. The nose is done with a small oval shape. The mouth is created from a large pointed lines while the teeth are made from simple rectangles. Finally, don't forget to draw a small straight line between the mouth and the nose. Inside the ears, draw two small oval shapes to create the bright little patches. Below the mouth, sketch the arms using straight lines. On the bottom of the rectangle used to represent the body, add the feet using long curved lines. Complete this step by creating a large patch on the stomach using a long curved line. It's now time to add colors! 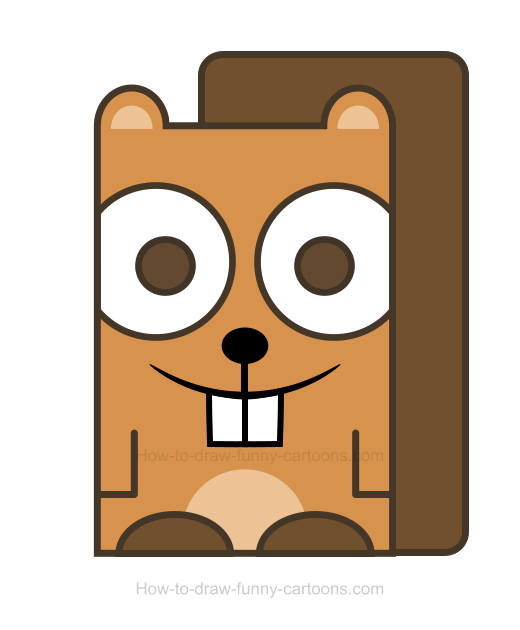 A light brown color can be used to fill in the body and the head of the beaver clipart. The eyes and the teeth are colored in white. The pupils, the feet and the tail are filled with a darker brown color. Finally, the nose can be black while the patches on the ears and the stomach are brighter. 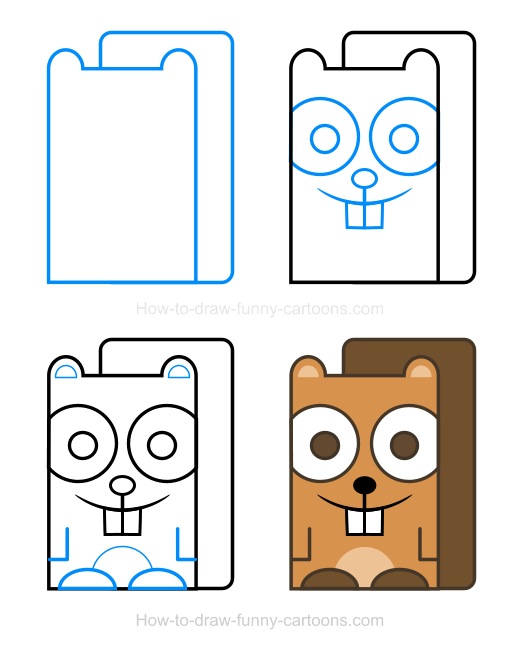 These are all steps needed to draw this beaver clipart!